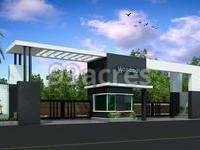 In which area is Mandadi Magnus located?The project is situated in Miyapur, Hyderabad. What is the area of apartments in Mandadi Magnus? The area of apartments offered in the project ranges from 1260.0 sqft to 1575.0 sqft. What is total area of 2 bhk in Mandadi Magnus? 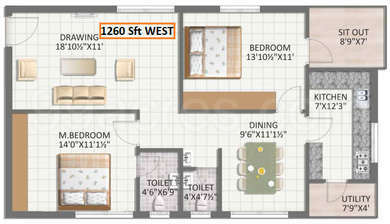 The area of 2BHK units in the project is 1260.0 sqft. What is the 3 bedroom size in Mandadi Magnus? 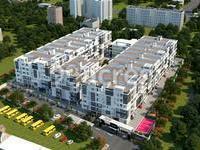 The area of 3BHK units in the project varies from 1500.0 sqft to 1575.0 sqft. What is the total area of Mandadi Magnus?The project spans across 3.2 Acres. 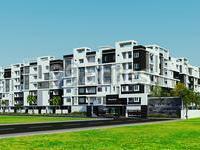 How much is price of 2bhk in Mandadi Magnus? 2 BHK units in the project are priced at Rs. 6300000.